- Milk mayonnaise. Please make this. It sounds odd and doesn't look like much, but it's much. The recipe and a beautiful description are here. I've made it two nights in a row and have a big crush. - Isabel. She now makes dessert every evening after she finishes her homework. The Nigella Lawson cinder toffee didn't work -- she burned the sugar -- but she cleaned the pot herself without being asked. I was shocked. When I was 13, I would have left the pot for my mother and gone upstairs to watch Bob Newhart reruns. - Christmas tree is gone. Now, the not so good and the ugly. -The Moro tortilla was unwieldy and swimming in oil. The instructions call for you to flip the wet mass of egg, potato and onion, and I seriously considered doing it. I stood there at the stove with a pot holder, ready to execute. Then I said, no, and put it under the broiler. It wasn't attractive or delicious, but at least it wasn't on the floor. Accompanied by milk mayonnaise, an acceptable dinner. -Moro roasted skate wing with caramelized garlic and sherry vinegar. I went to the Chinese market to buy sardines or mackerel and when there were none to be had, decided to try skate wing, which was splayed out on the ice right next to the sole. Everyone loves sole, and the two fishes looked kind of alike. Skate wing is cheap: $2.99 a pound, which would be a steal except. . . It's an extremely thin piece of fish covered with slippery gray skin and it really does sort of feather out at the edges, like a wing, or a fin. Handling the fish back home, I realized I didn't know what a skate was and went to the computer to check. It's a relative of the ray. The Moro recipe calls for searing and then roasting the skate, which made a bad thing worse. And though it tasted fine -- pleasant, even -- this was one of those mind-over-matter meals. Frankly, looking at this photograph, I'm appalled that we even tried. - Cream of tartar biscuits from this recipe out of Yankee magazine. Jeff Bridges makes cream of tartar biscuits in Crazy Heart. I'd never heard of them, but found recipes all over the internets. And? They were intensely sour, flat, inedible. Straight to the chickens. I have to try again with another recipe. Or is it possible I forgot to add the baking soda? It is possible. I really wanted a biscuit this morning. You had me at "mayonnaise." That looks so fun and yummy. A good snow day experiment here! Ugh! I accidentally ate skate once in Spain. I was told it was "just a type of white fish." But when it was served with its wing cartilage intact, I knew something was up. You had to tear through the cartilage to get to the meat, of which I took only two bites. 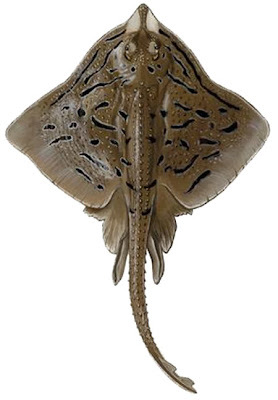 Hmm, yes, the skate is pretty unattractive. Looks sort of liver-ish. Kudos to you for trying something new and being brave enough to eat it! Uck. I have big trouble eating ugly fish. They're just so creepy and sea monsterish. I shudder at the mere mention of Grouper. did moro really want you to flip the tortilla like a pancake? that's crazy. when i've made tortilla before the recipe instructed me to put a plate on top of the pan, invert the pan so that the tortilla mass falls onto the plate, then slide it back into the pan. It's sometimes a little messy, but it works. flipping seems impossible. i want to know what you eat that mayonnaise with- things you eat normal mayonnaise with? Tori -- Now I can't eat grouper ever again. Anonymous 9:55 -- I wasn't clear. What you describe is exactly what Moro said to do -- invert the tortilla onto a plate and then put it back in the pan. Except it was very heavy and very wet and it was never going to work. which bob newhart reruns would you have been watching? the psychologist or the inn keeper? (this is a way of carbon dating someone). they were both hilarious, but very different. secondly, i think it's unfair to compare grouper to skate. grouper isn't much to look at, but at least it's clearly a fish. me? i ate skate wing at per se one night and it was delicious. then i got food poisoning. i don't want me some skate. and finally--please answer this--what exactly is cream of tartar? i found myself asking that question during crazy heart, which i watched immediately after you warned us off with the vomit alert. And then there's ling cod . . . grody. That mayonnaise is such a science experiment. It doesn't seem like it could possibly work, but it does, and is so cool! Well, cream of tartar biscuits are really just regular old baking powder biscuits, except in this case you're making your own baking powder, which is nothing more than cream of tartar (a sediment formed in winemaking) + baking soda. (Commercial baking powders also add cornstarch to keep the chemicals from reacting, and some brands use an aluminum-sulfate base, which can give an unpleasant metallic tang to baked goods.) A lot of older cookbooks call for such homemade, single-acting baking powder, as do all the recipes in one of my Top 10-of-all-time cookbooks, The Gift of Southern Cooking by Edna Lewis and Scott Peacock. Homemade baking powder is good to have on hand when you run out of the regular double-acting stuff. Bakewell Cream is a famous and popular brand of cream of tartar made in Maine and sold throughout New England. Its back-of-the-can recipe is also well-known and perhaps it spawned the generic name of "cream of tartar biscuit" that appears on all those Yankee recipes on the Web. Anyway, I think your biscuit recipe looks off. For one thing, the standard ratio of cream of tartar to baking soda is 2:1 where yours is 4:1. I think too much tartar would produce the pucks you got. On top of that, yours has half the amount of flour in the classic Bakewell Cream Biscuits, which I highly recommend. Wow, what a brave family you have to eat that skate. I believe it would have reduced us all to tears at the mere thought of it passing our lips, even the adults at the table. And if any of the kids had googled it and seen what it looks like in the wild...forget about it. There would have been some kind of mutiny, I'm quite sure. Roasted Skate Wing . . . YES! I know it's the last thing on your mind right now but now you have David Lebovitz copying you! He's on his own Moro cookbooks jag. I feel like commenting "try that with skate wing!" but unless you read it, it's not worth it. Seriously? David Lebovitz is totally stalking you. From his Moro obsession to now with the milk mayonnaise!